Can I finally starting buying and living like everyone else? What should I do with my money? Should I spend it or save it? These are common questions we ask when we start getting a paycheck. Getting your first paycheck can be both exciting and anxiety filled. On top of these questions, where do my finances fit in with my faith? Beyond giving 10% does God really care what I do with my money? Come find out the answers to these and other questions. Start 2019 out with prayer and praise. 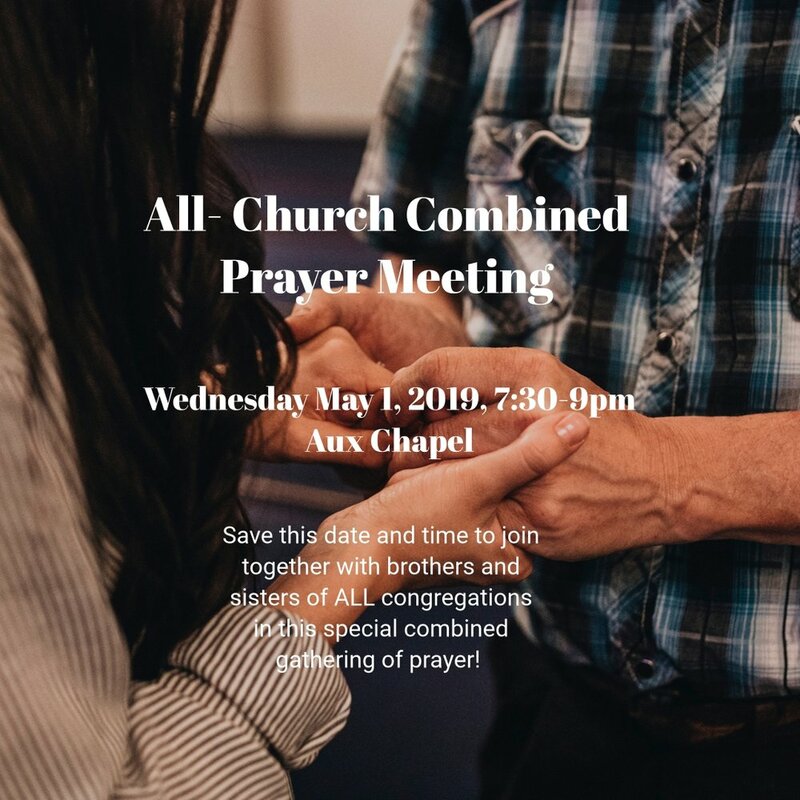 Come join us as we seek the Lord together in our combined prayer gathering. We excited to share the vision and plans for FECG's women's ministry. Come for a time of sharing, prayer, food as we begin a faith journey together. We are excited about the Superbowl party we will be having on Feb 3 Sunday from 3-7pm! We have a great treat for all-snacks for the duration, a half time taco fiesta by the taco amigos, Ken & Tim and a raffle hosted by Jeannie and Ray Jung! We will also have board games with Sim! Bring a friend or a co-worker or a relative! Let's take the opportunity to have some fun, and build relationships! Bring the kids and let them cheer on the teams! Let's use this divine opportunity to reach out and connect with one another-new and old friends. Cake ceremony follows after the service and special catered lunch will be served. Project Hope of Christmas is a wonderful way to get involved in the sharing Gospel and love of Christ to the children around the world! Every gift is a seed of hope to share the Gospel with every child. Many boys and girls will join the journey of life to follow Jesus and share Him with others. PRAY: Pray for the child who will receive your gift. 1 Gallon Ziploc Bag: Get a 1-gallon freezer Ziploc bag for boy or girl (Affix inside of bag boy/girl label). We prefer a bag so we can deliver more gifts to more children. 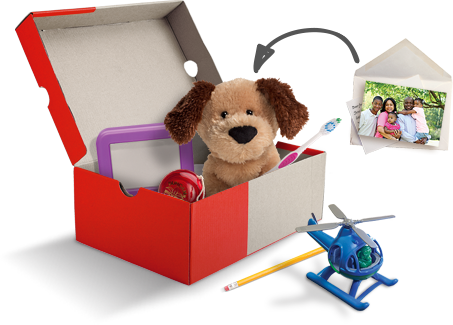 Fill with Gifts: Add other fun toys, hygiene items, and school supplies. Include $9 Donation: A donation of $9 per bag is critical to transport your gift and deliver it into the hands of a child in need. All the bags will be hand delivered to every child. Please make checks payable to SFI. Dropoff: When you are ready, please contact the local organizer in your area or the person who told you about the project. You can also contact SFI office (626-709-6811) to arrange the drop off. Collection period is Oct 14 through Nov 18. SFI also receives donations for those who cannot or are not sure what to pack, we will pack it on your behalf. Pray for the child who will receive your shoebox. Include a $9 donation or give online through Follow Your Shoebox. Bring your shoebox gift to FECG by NOVEMBER 11. Personal Message: Include a simple note or a photo of yourself/family/group. If you include a name & address, the child may write back! 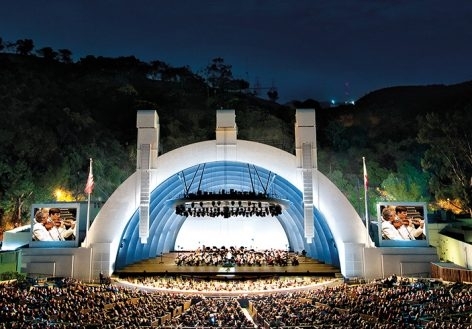 The Hollywood Bowl comes alive with the sound of music! Sing along with the von Trapps and thousands of fellow music fans. The event is a great opportunity to invite coworkers, friends, and family who do not attend church regularly. Limited tickets with special group rate of $22. Contact Gloria to reserve tickets. Looking to grow together in the Word of God? Desiring a community to walk with? Try out our new God Talks starting this Sunday, September 9th. Classes start at 11:30am. Please note, in order to properly arrange travel and budgeting, we will be adhering to the following deadlines for applications.